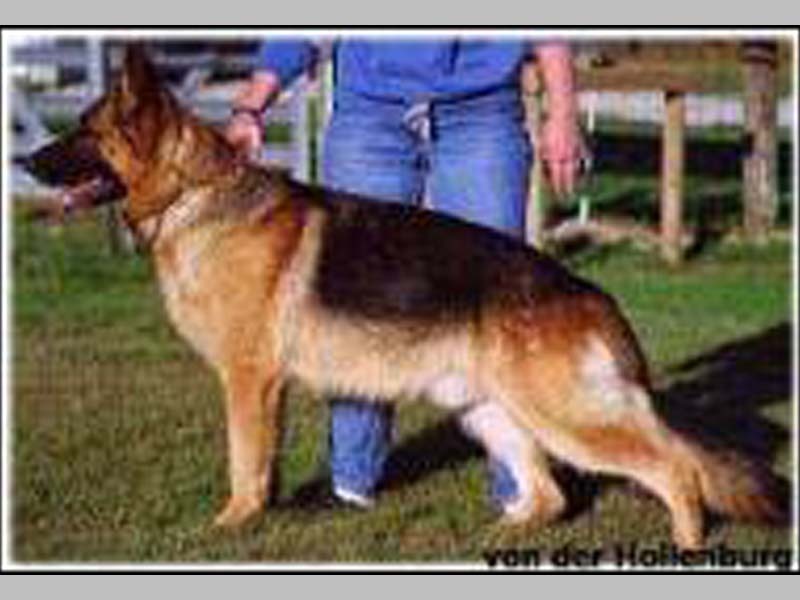 No videos of Odin von Tannenmeise to display. 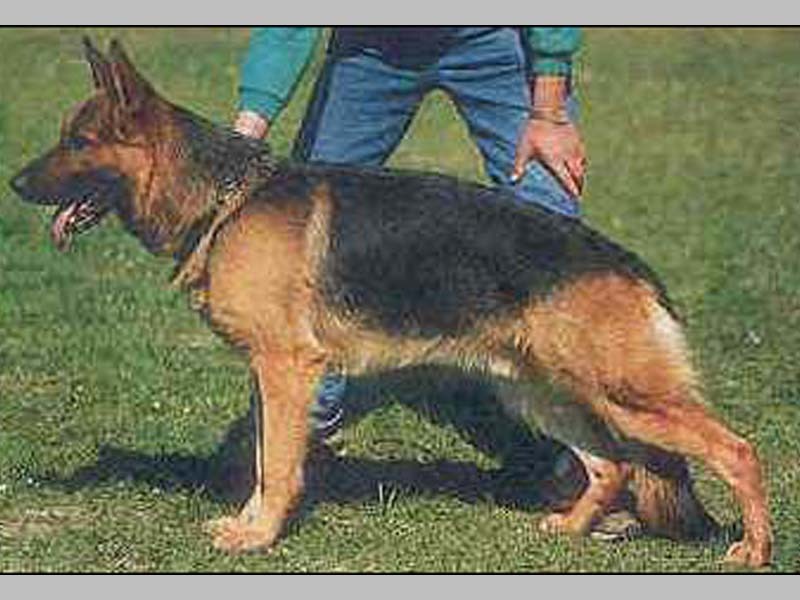 No photos of Odin von Tannenmeise to display. 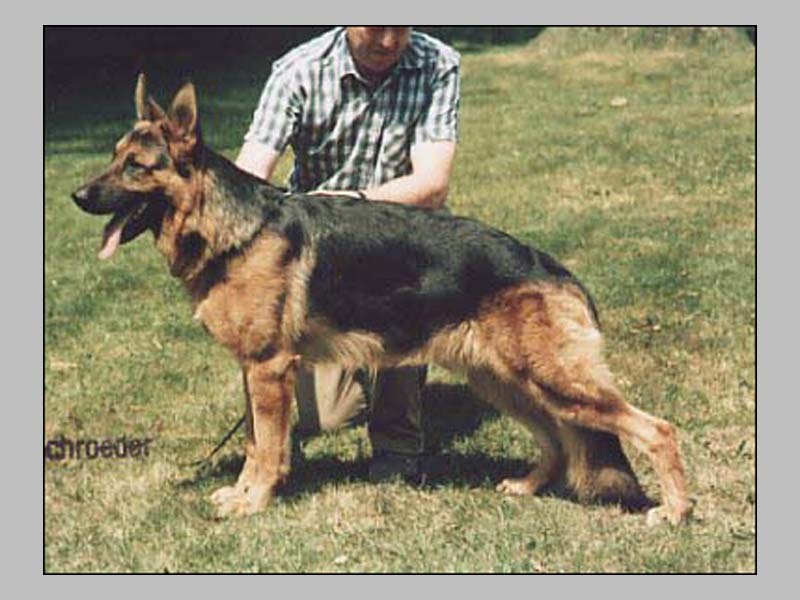 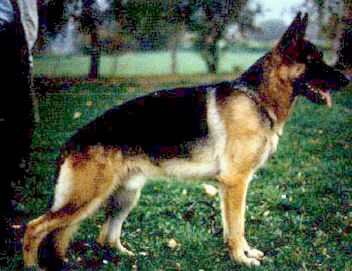 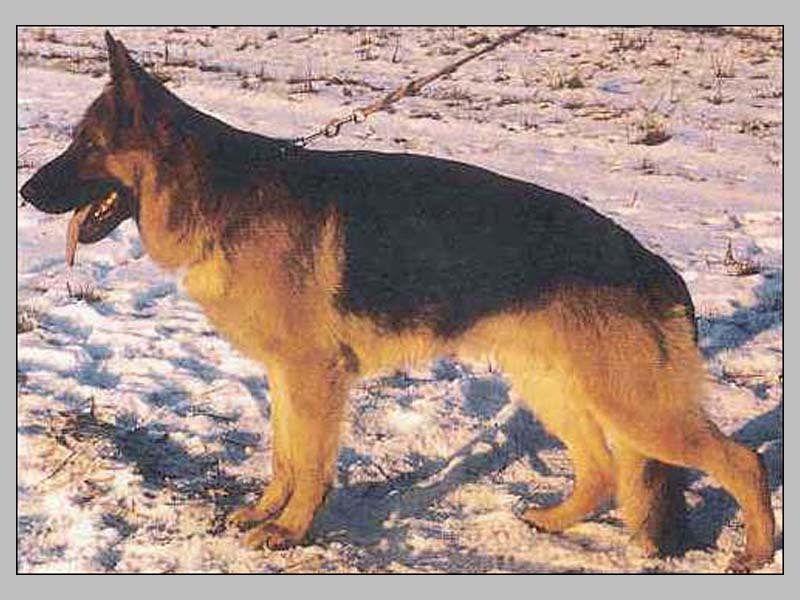 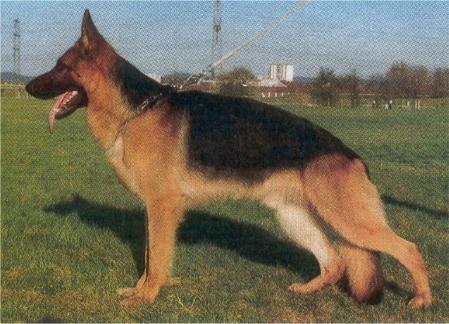 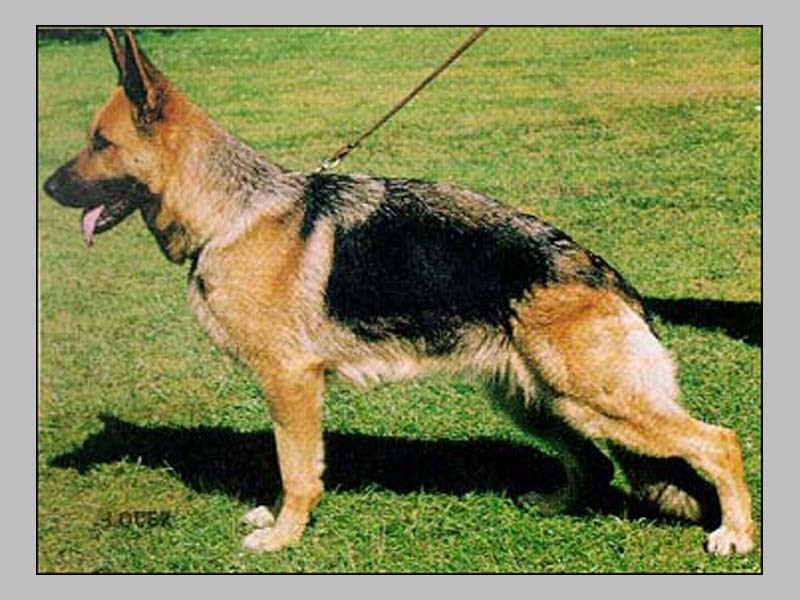 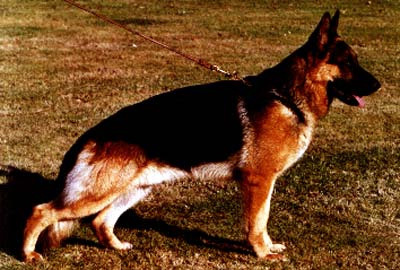 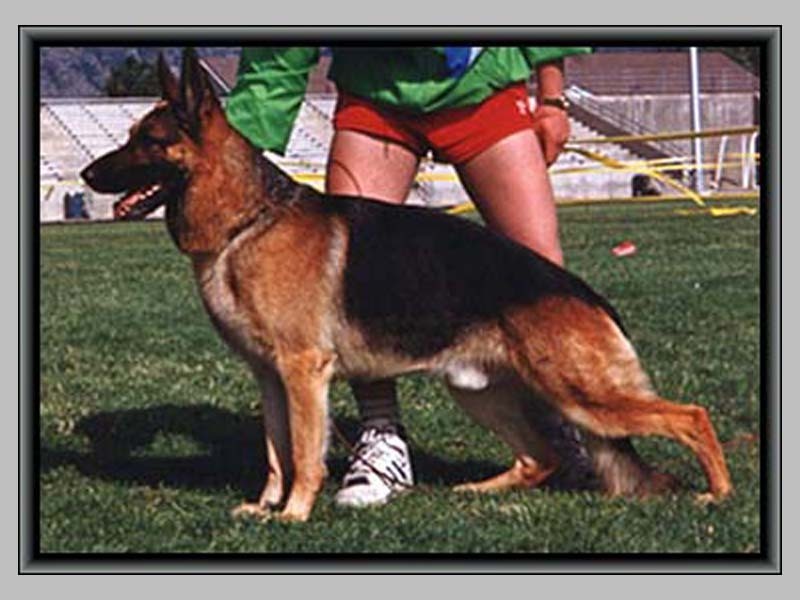 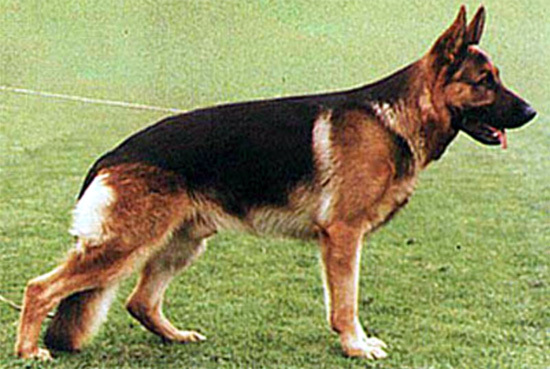 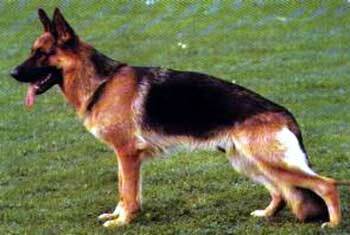 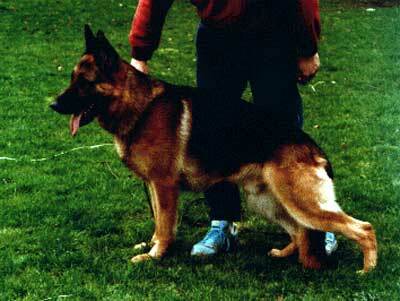 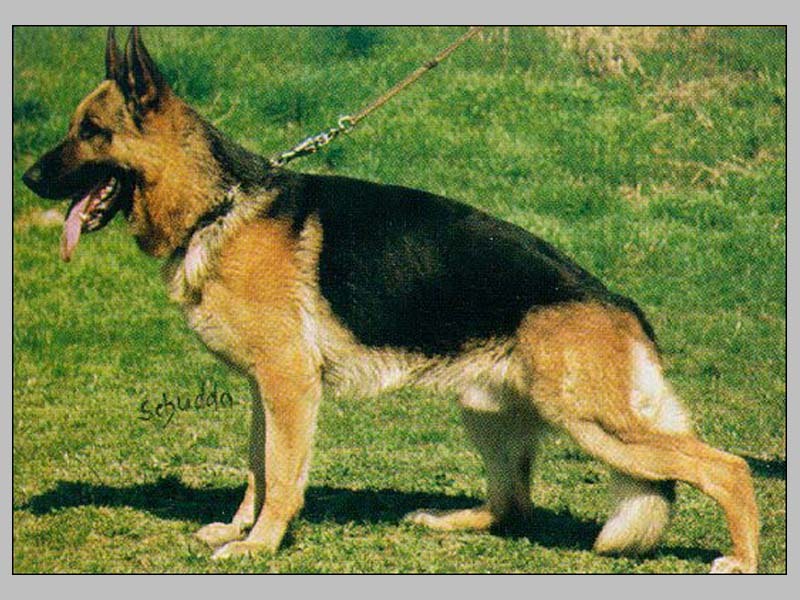 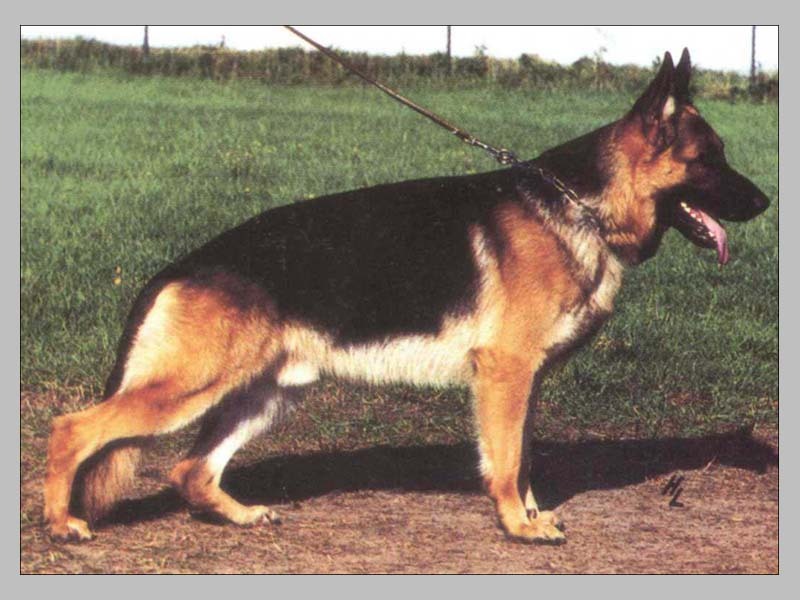 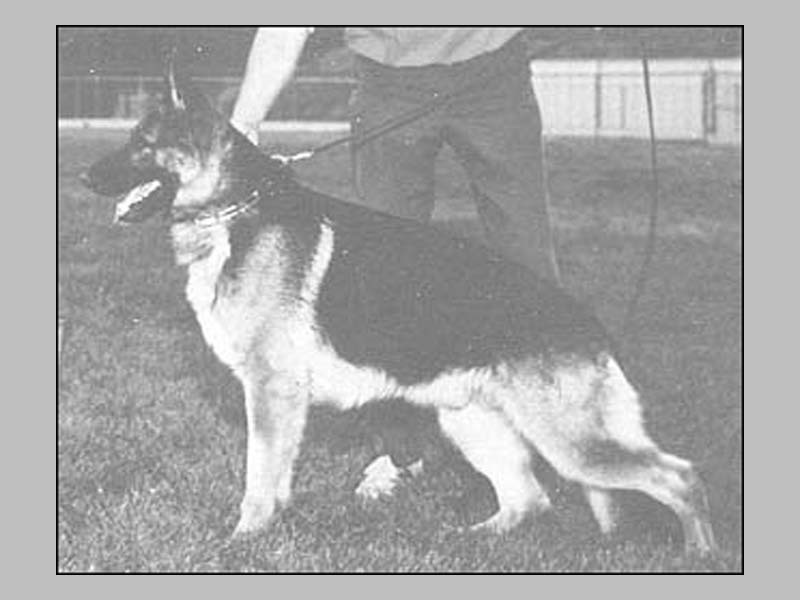 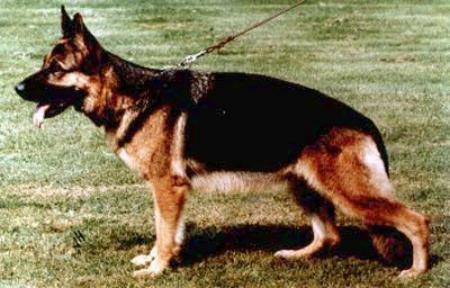 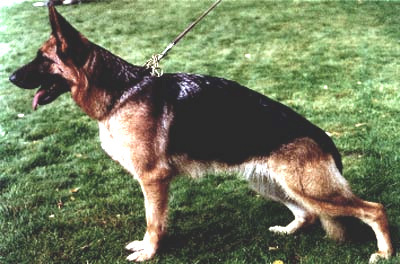 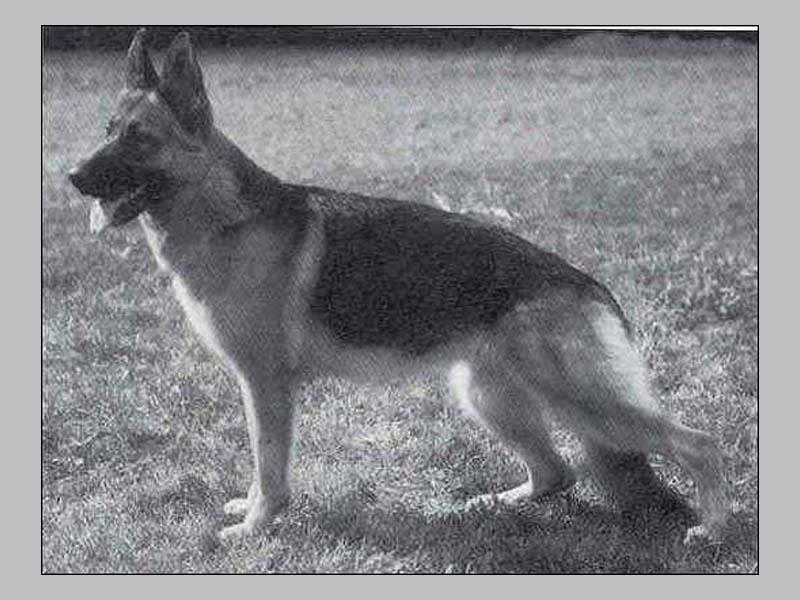 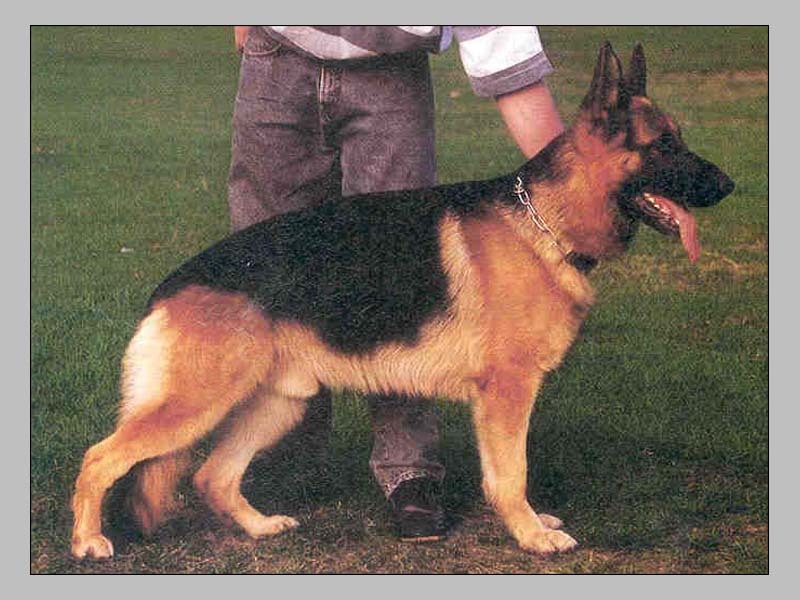 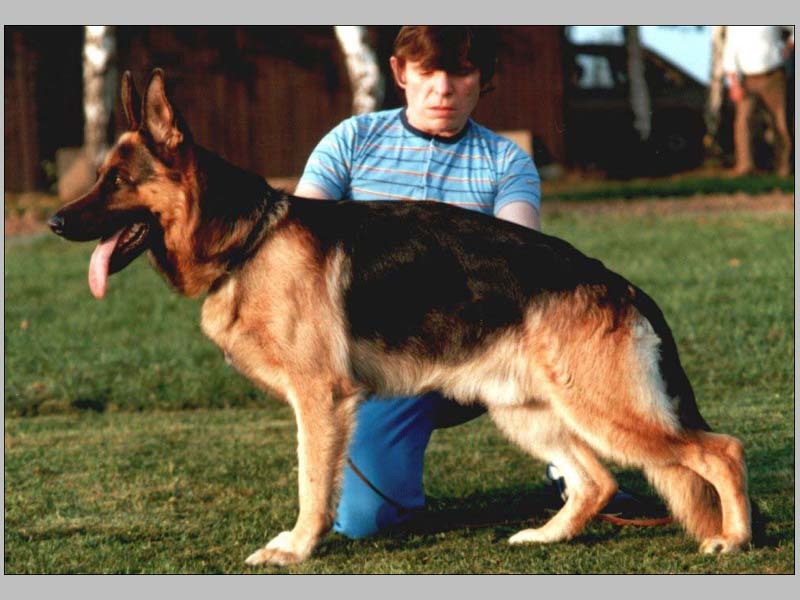 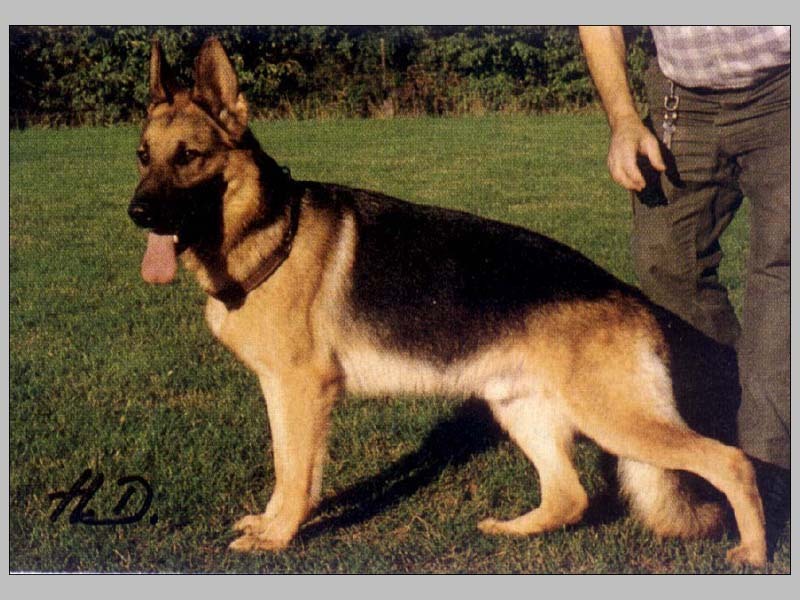 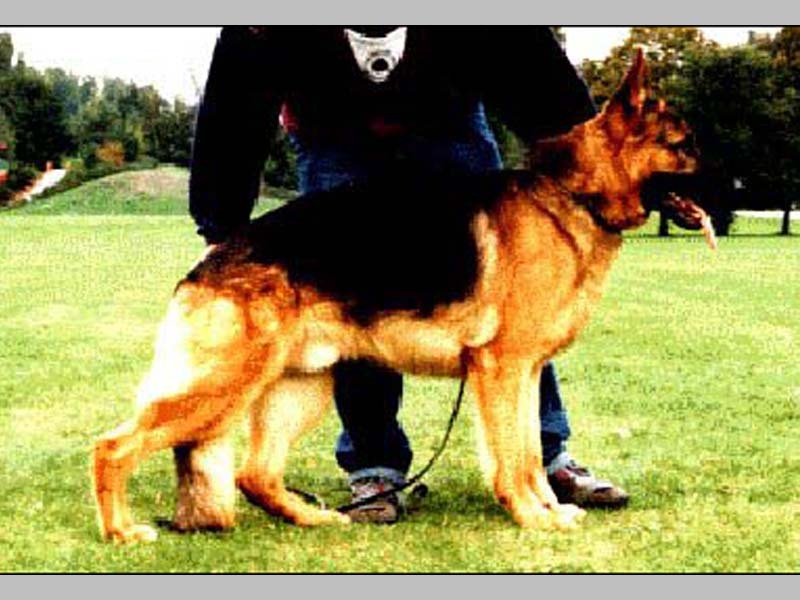 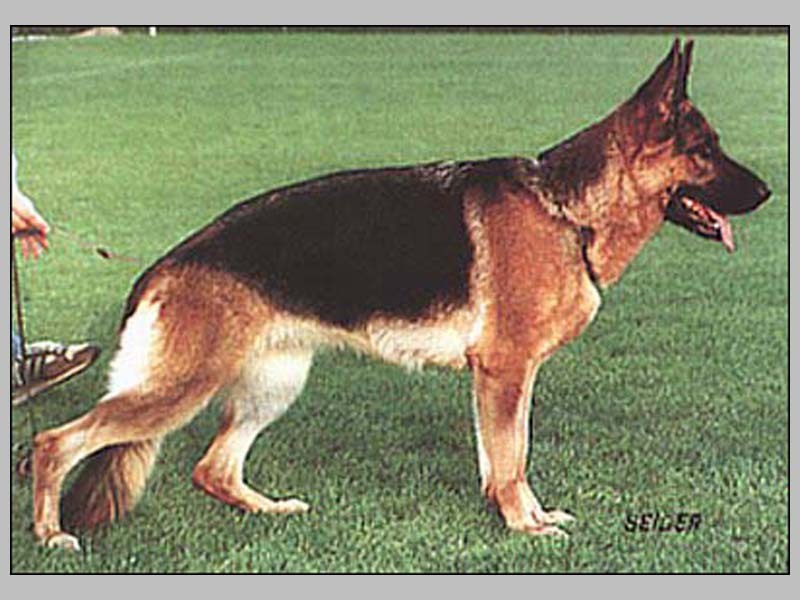 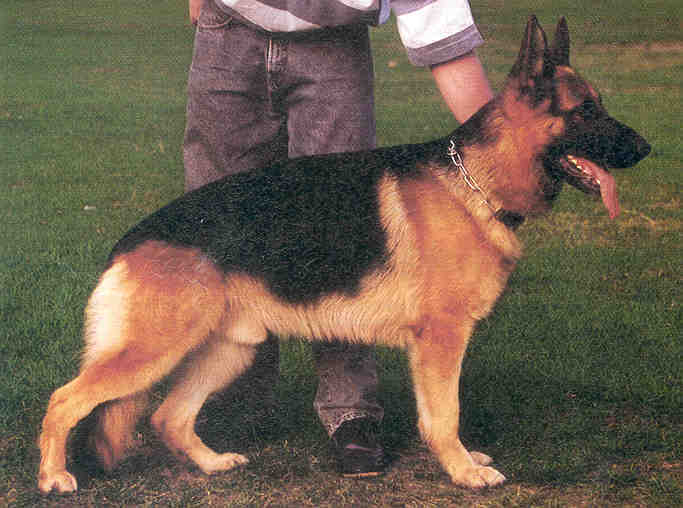 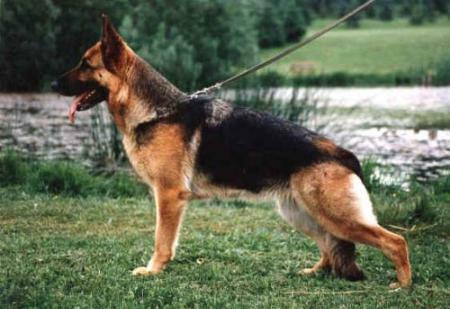 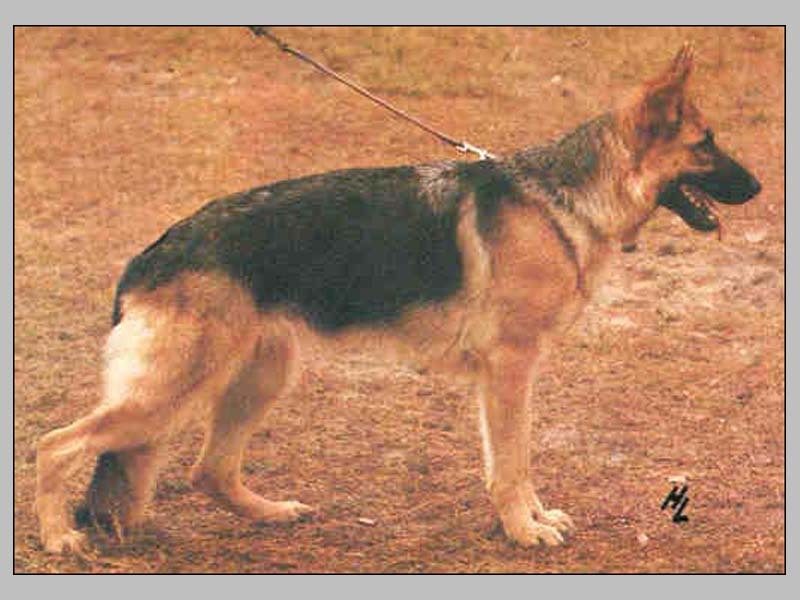 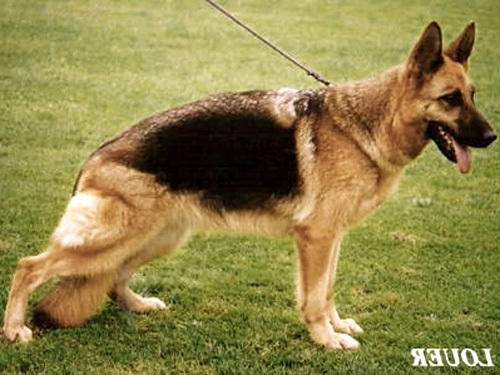 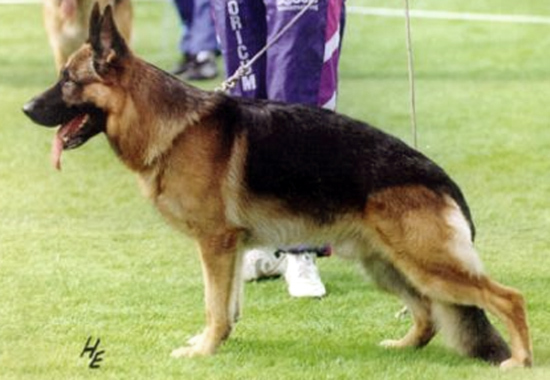 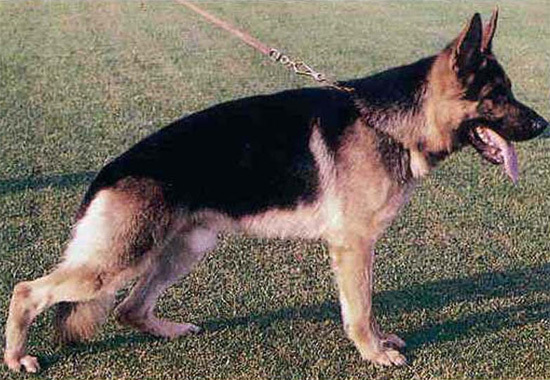 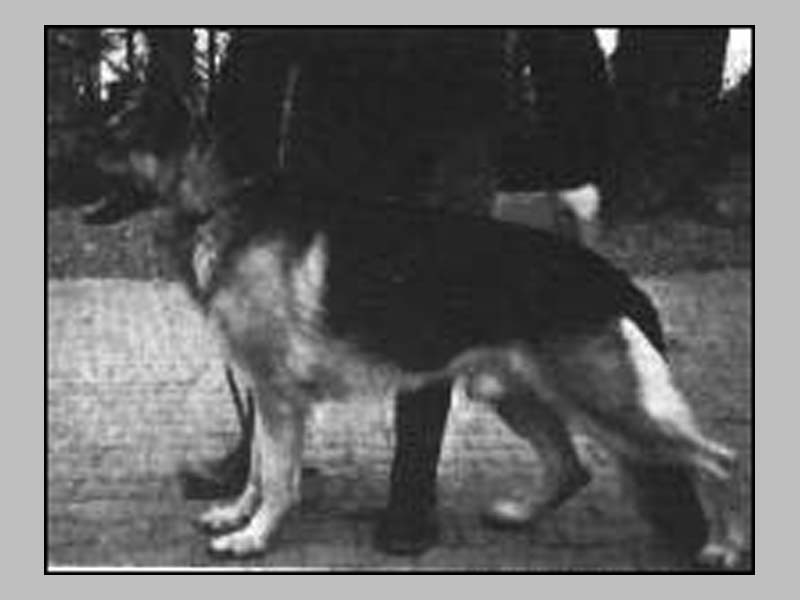 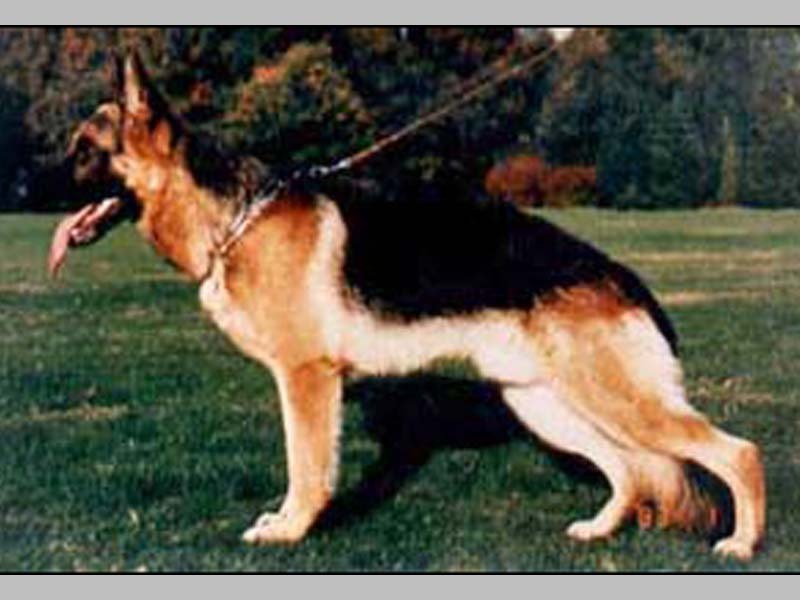 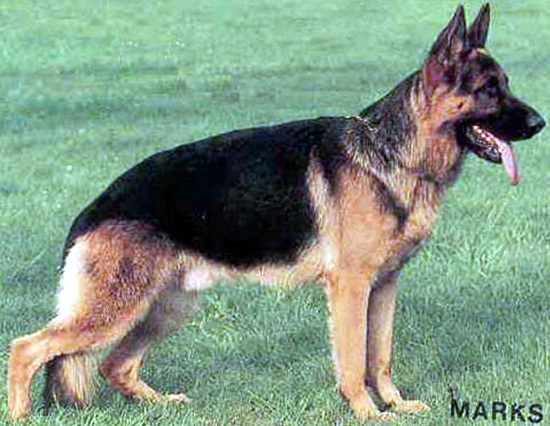 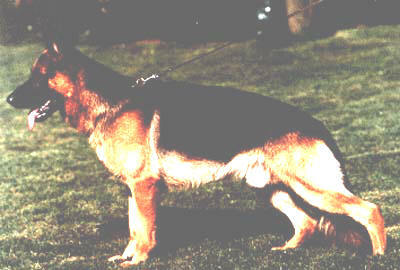 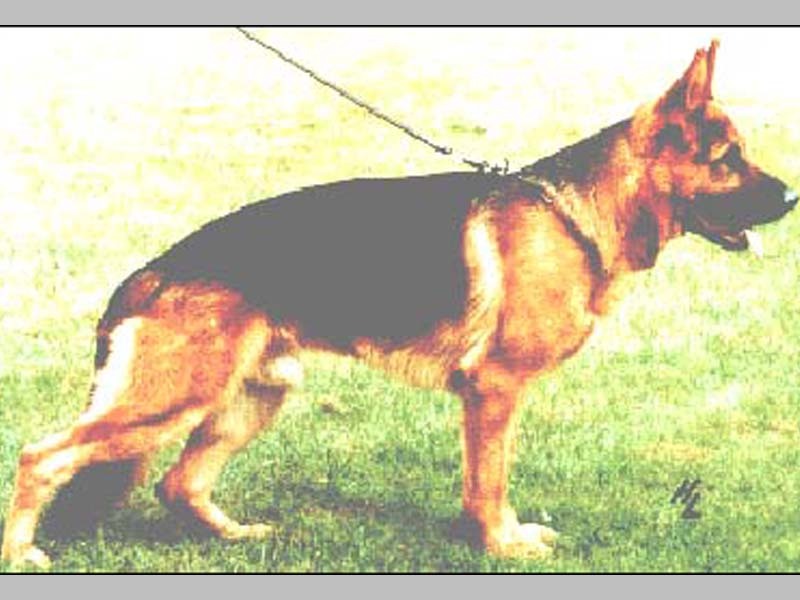 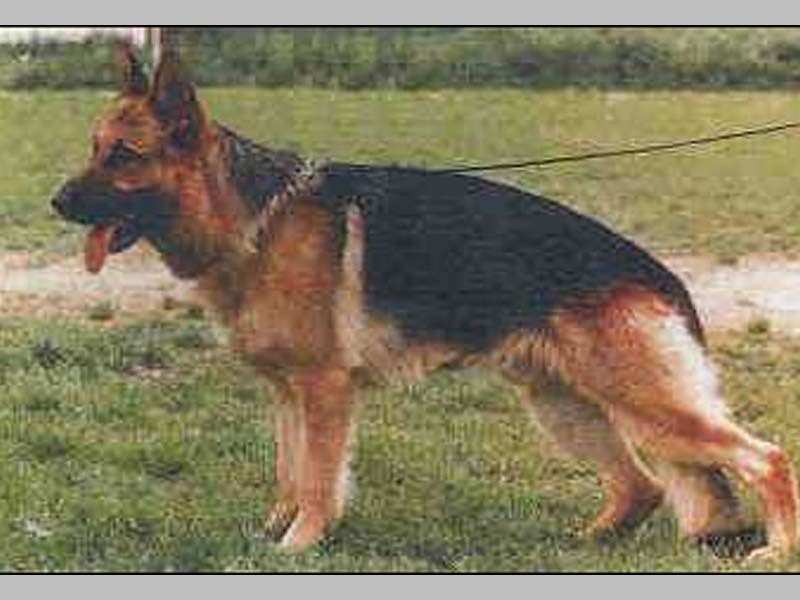 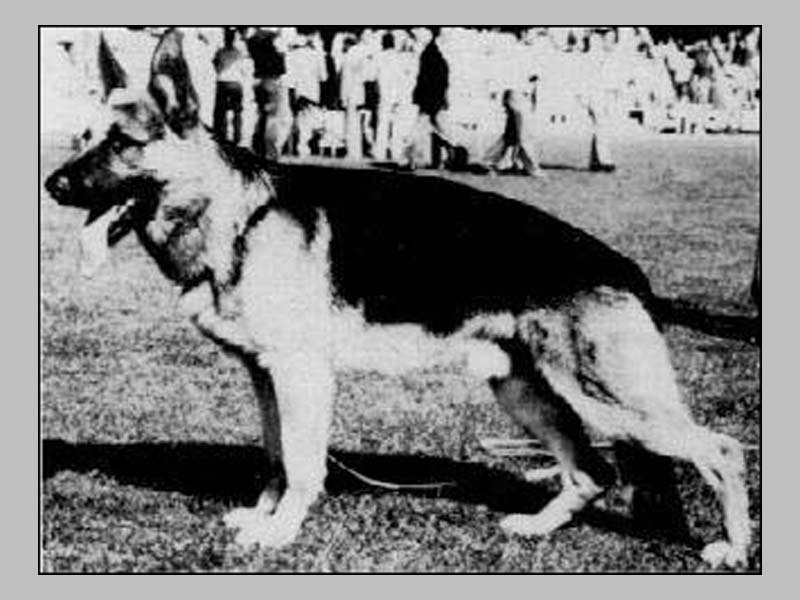 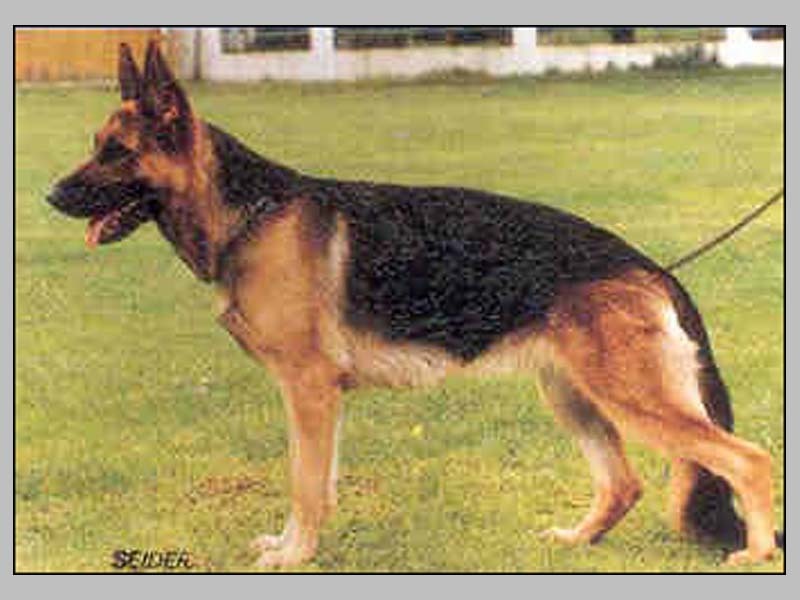 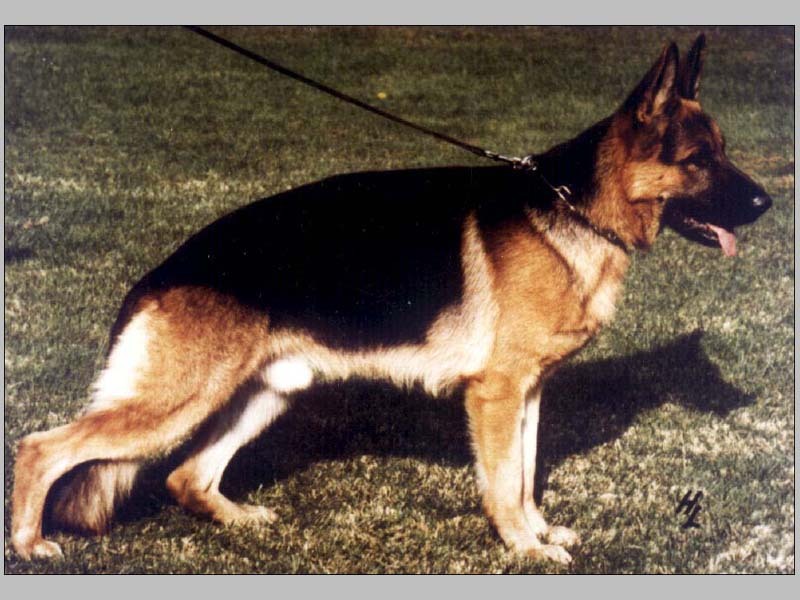 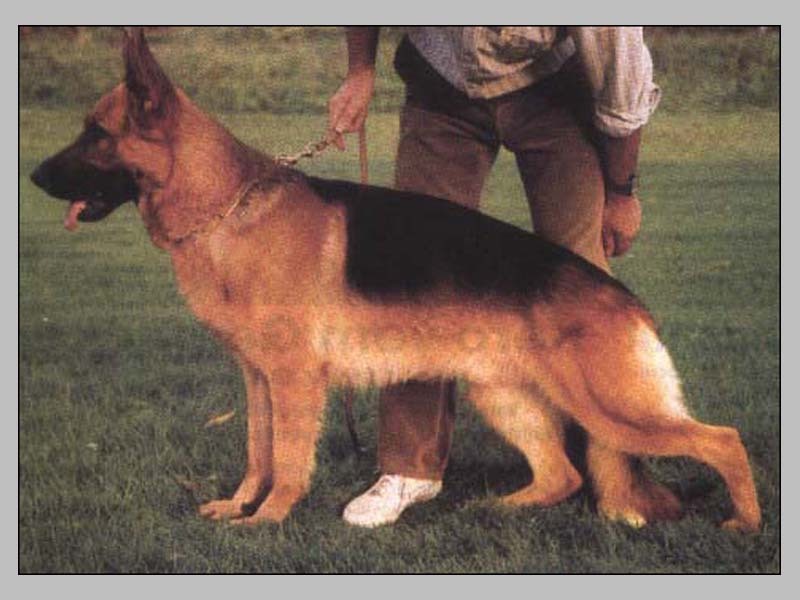 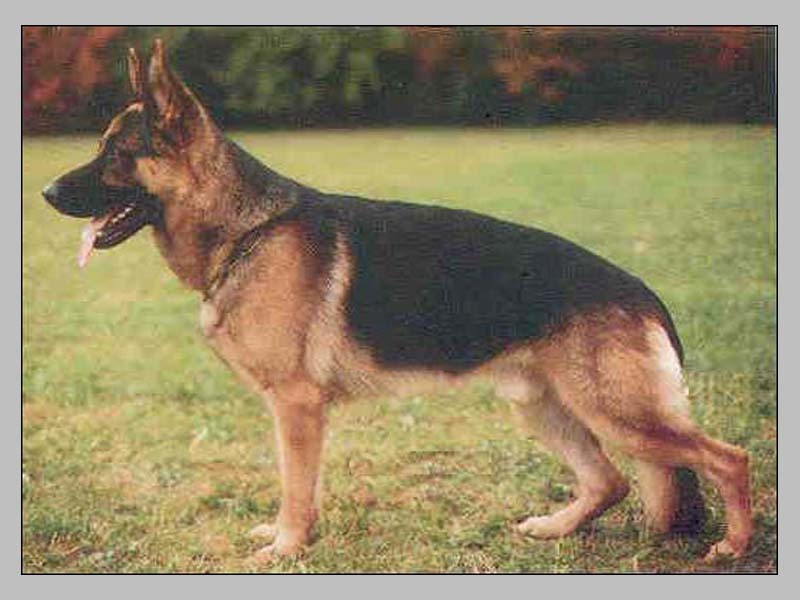 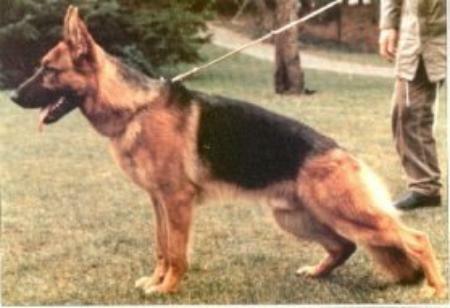 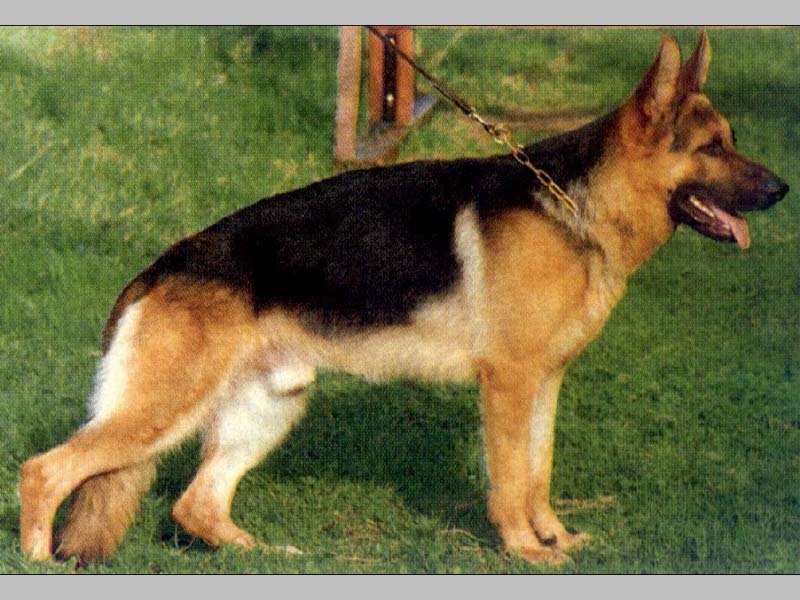 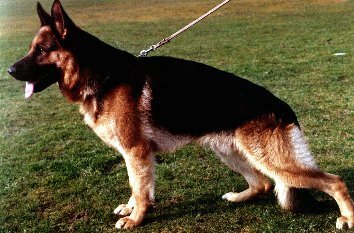 Tall, powerfull, expressive, strong head, good position of ears. 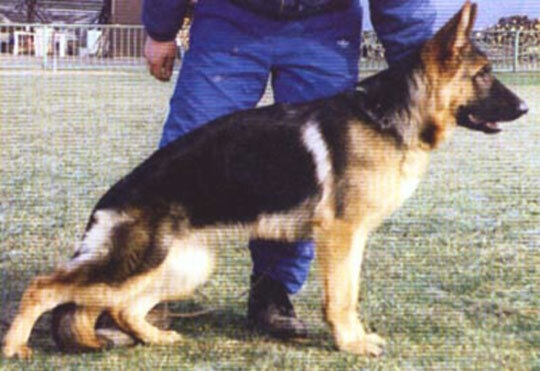 Straight firm back, good position and length of croup. 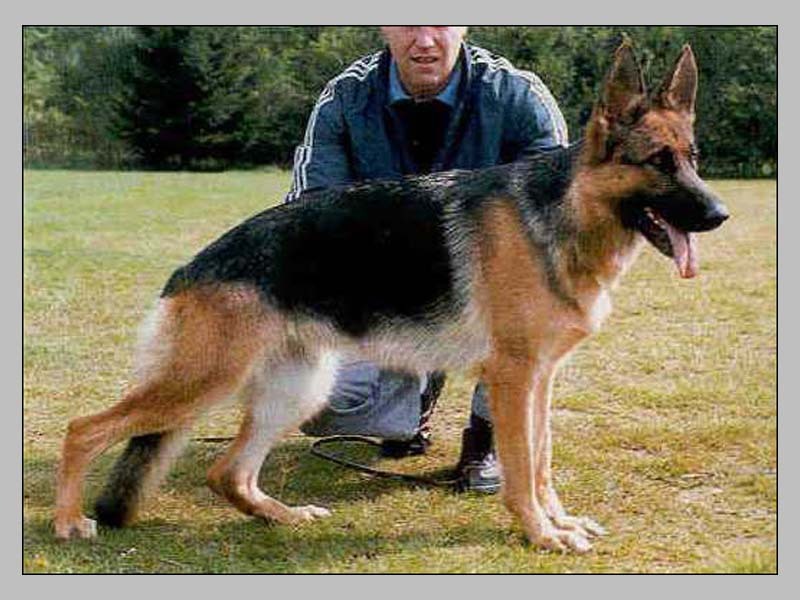 Angulation of front and rear is correct, good chest proportions, straight front and sequence of steps. 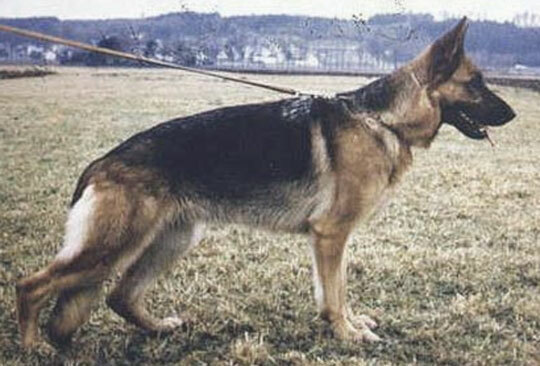 Strong pasterns, gaiting is even from a firm back. 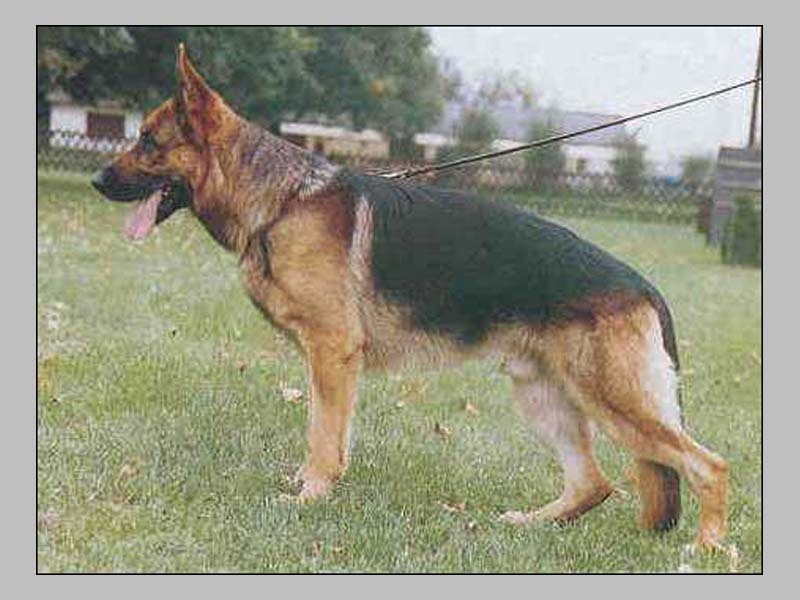 Sound temperament, hardness courage and fightdrive pronounced. 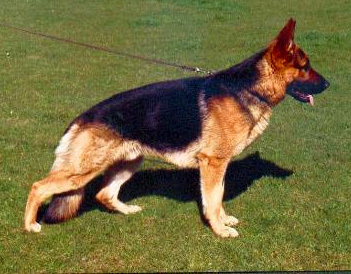 does not out.